Well, do you love peel-off masks? Or maybe you don’t really like them because peeling them off is really painful and they leave your skin quite dry? 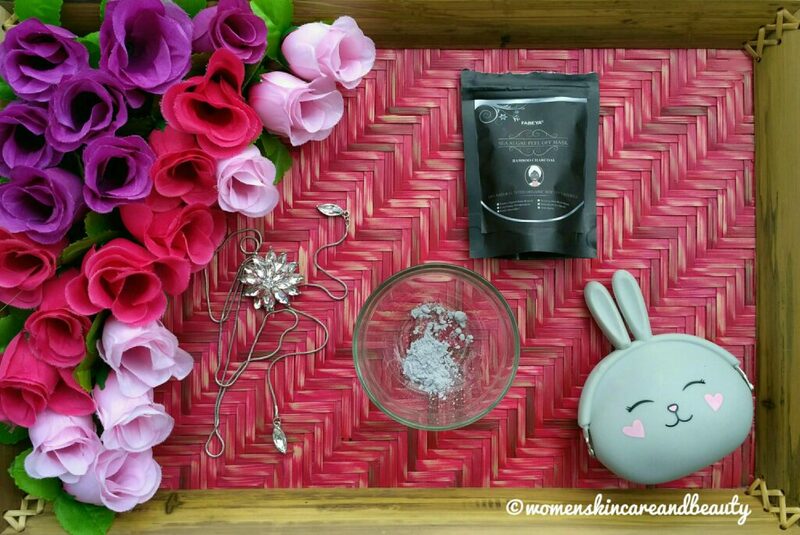 Today, I am going to review something unique for you all – a hydrating, painless peel-off mask! 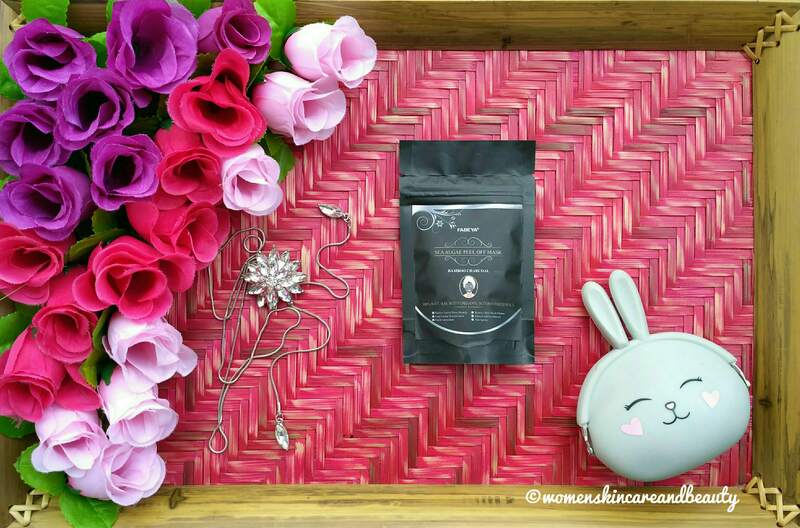 INGREDIENTS: Sodium Alginate, Cornstarch, Diatomite, Bamboo Charcoal, Calcium Sulphate Dihydrate, Organic Soy Phytosterols. DIRECTIONS FOR USE: Cleanse face and pat dry. Take bowl and spatula. Add 30gm powder into the bowl. Add 70ml cold water/rose water to the powder. Using spatula, mix the powder and water quickly till a slurry paste is formed. Apply a 3-4 mm layer of the paste to the face evenly and generously. Rest in peace while waiting for 20-25 mins until the mask solidifies. Peel off the solidified mask starting from the chin moving upwards. Wash off remained mask. To be used within two months once packet is opened. Fabeya sea algae peel off mask comes in a black-coloured plastic pouch with a zip-lock closure. 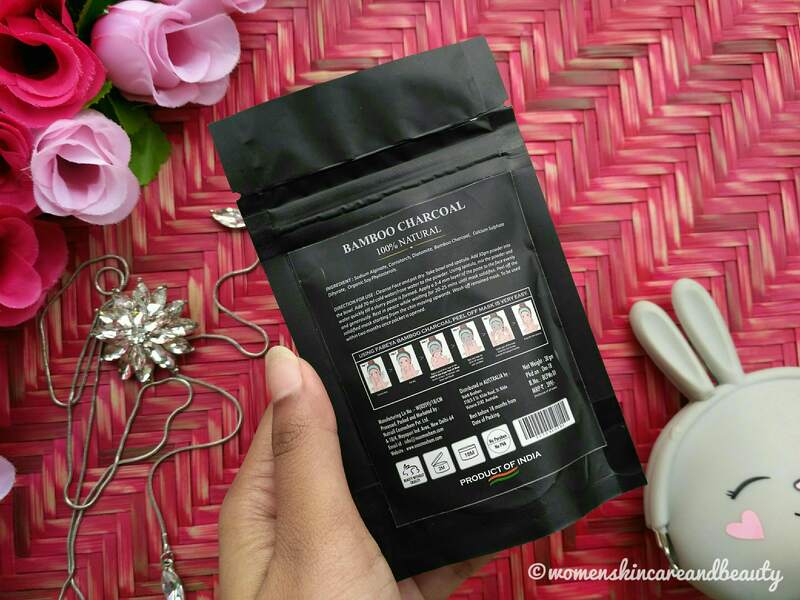 All the necessary details about the product, including the complete list of ingredients, usage directions, shelf life and price are mentioned on the backside of the pouch. The overall packaging of the product is quite good and one can use and store the mask easily at home… However, it is not suitable for travel purposes as the mask is present in powdered form! I take one full tablespoon of the powder in a bowl and mix it with cold water to get a paste of medium consistency, i.e., neither too thick nor too runny. Once all the lumps in the paste get dissolved, I use my fingers to spread a thick, even layer of the mask on my face and neck… The usage directions on the pouch mention that you need the whole 30gm pouch for single use, but in my opinion, one pouch can be easily used for two or even three times! 2. Good packaging; can be stored easily. 3. Free from parabens, PVA, SLS and other toxic chemicals. 4. 100% natural and cruelty-free. 5. Really easy to apply as well as remove. 6. Doesn’t stick to facial hair or skin and peeling off the mask is completely painless. 7. Cools down the skin and leaves it much hydrated. 8. Brightens up the face and may also remove fresh tan to a small extent. 9. Adds a natural glow to the skin. 10. Suitable for all skin types. 1. A little expensive for a one/two time use mask. 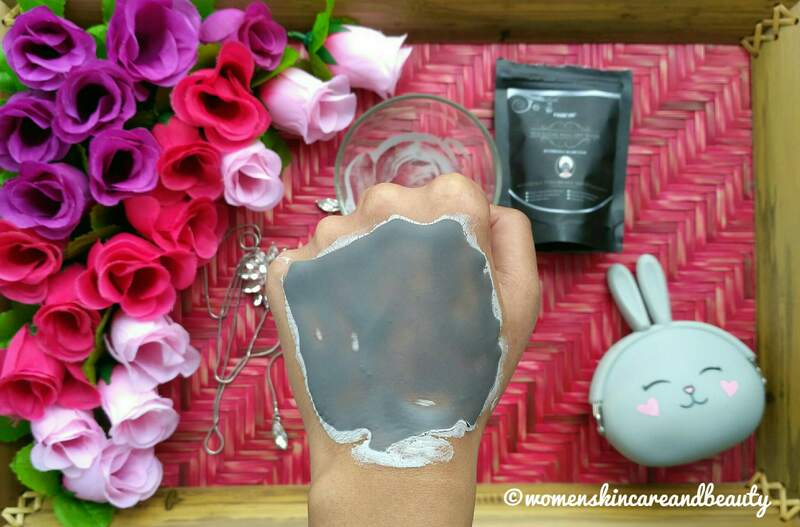 It is nice to know that the Fabeya sea algae peel off mask is a painless peel off mask. One of the issues with face masks is the pain and inconvenience. But this looks really nice and also good as it is based on natural ingredients. Looks great. That facts that it doesn’t drip and comes off easily are the main highlights for me. This seems to be a great product but once I put on charcoal mask my LO got scared of me and I stopped using any such item. This product look totally top notch. I never knew about this. The only con about this mask is its price and that is too high for one or two time use. 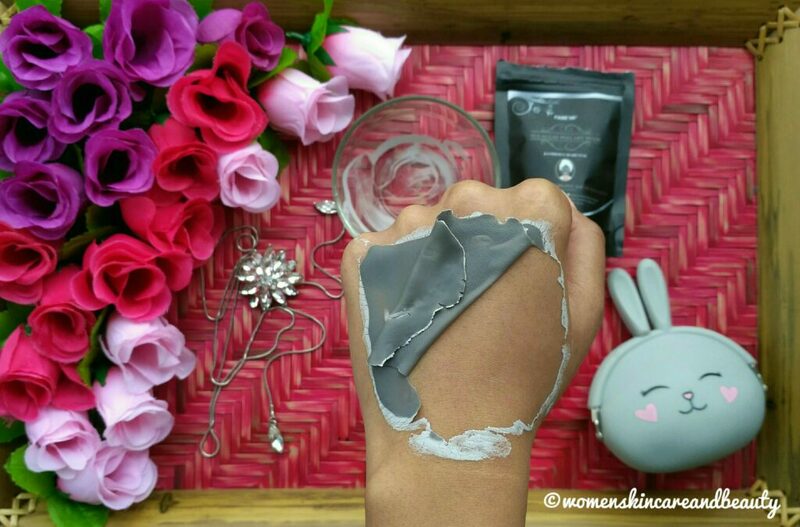 This peel off mask looks very promising..as it is charcoal has the property of pulling all dirt and cleaning the skin..will definetly try this..
My constant fight is against dirt and pollution. I will be delighted to try these products to combat that. This peel off mask looks really effective. I am so scared to apply peel off mask in our skin.Thanks for suggesting this. Thanks once again for this honest review. The face mask seems really promising. Does it work on my combination skin? This is a new product for me and I am surely curious to try it out. Loved that pic where you are showing how it comes off and it’s looking quite effective. This mask looks amazing. Heard a lot of amazing things about this mask. I am going to order one right now. I love peel of masks. I like face mask with charcoal in it. I would love to try this face mask sometime soon. I am someone who is bored with age old peel off masks. This is something new for me. Definitely will be getting my hands on this. After reading about Sea Algae effects on skin and was amazed. It’s definitely a great ingredient to use. I will surely try out this mask. The mask seems effective but too expensive for only one or two times use product . This looks great. And I agree peel off masks are great but peeling them when you have facial hair is difficult. Thanks for suggesting this. With so many advantages to its name, this product is certainly worth the slightly high price tag. I will try it. I have used only a scrub from Fabeya and it was quite decent. This mask sound nice too. I am new to the ingredient Sea Algae, not sure how it will date on my skin. 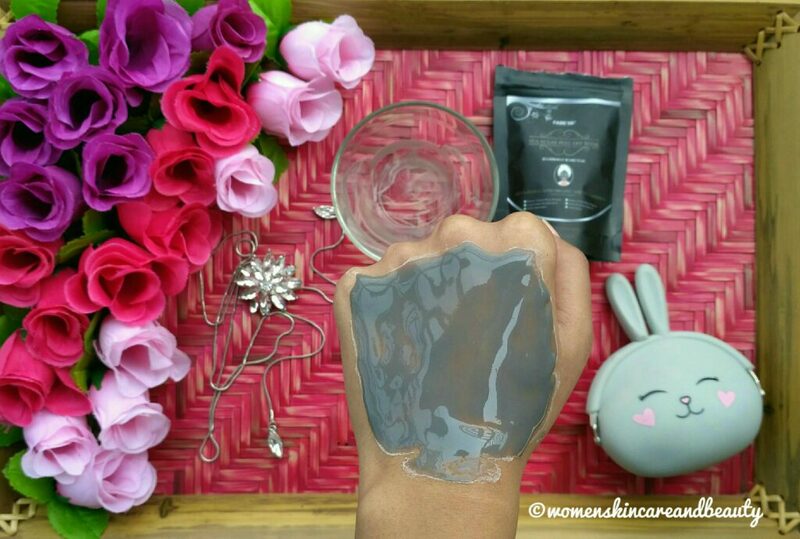 Sea Algae is an amazing ingredient and using it in a face mask is such a good idea!! Definitely trying it out. So true, I got so bored with my regular peel off mask, which does the same thing, only removes my comedones. But this seems so different. Also, I liked the ingredient in this fabeya mask. Good detailing review👍😊. Wow, these face masks sound really fun and interesting. A wedding is coming up and this looks like a perfect skincare fix. I am so intrigued by this mask. 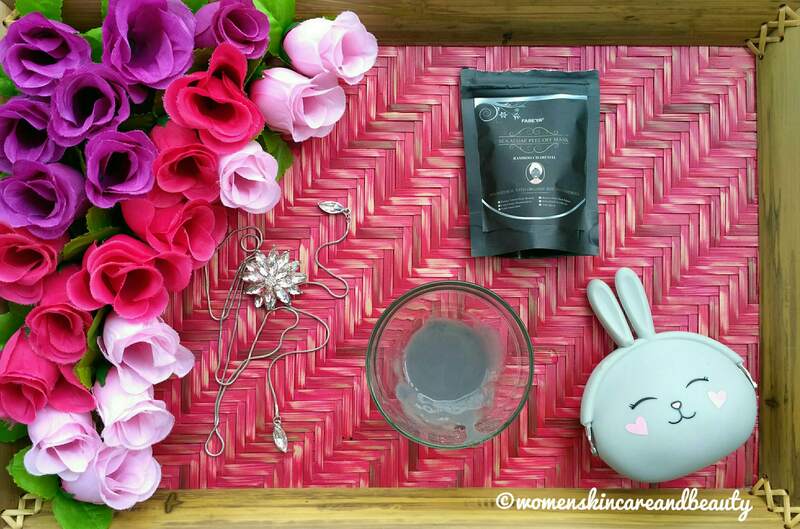 I have not used sea algae as an ingredient in any of my skincare products before so I would like to try this mask Mrinaal. An algae mask is quite new to my ears. Would like to try out this mask soon. I like it how it is a natural product. Nice review. It sounds really good as using it is painless and hydrating too. So, i will be definitely try it. The thought of algae on my skin sounded repulsive at first, to be honest 🙂 But after reading your review, I think this will be good. I find that the expensive skin care products actually work better than the affordable priced ones. I will check this out.